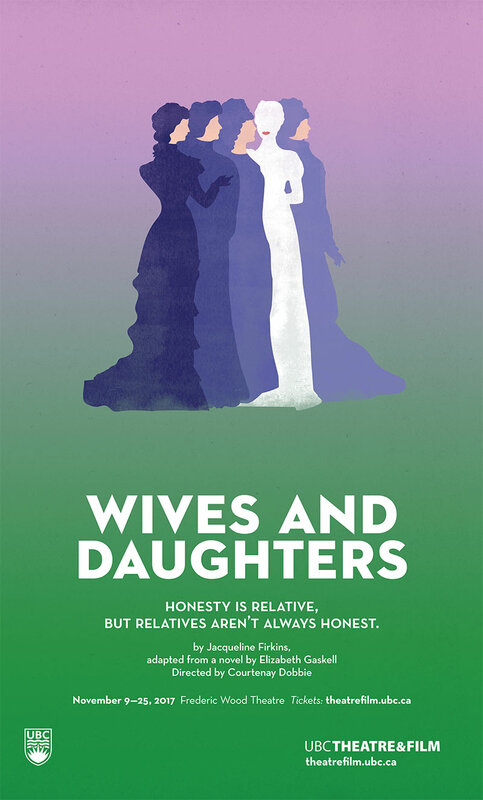 Based on Elizabeth Gaskell’s 1860’s serial novel and adapted by UBC Theatre and Film Professor Jacqueline Firkins, Wives and Daughters tells the story of 17-year-old Molly, the daughter of a country doctor whose life gets turned upside down when an overbearing stepmother and an impetuous stepsister move in, bringing with them a unique talent for improving people and a wealth of secrets. A feminist ahead of her time, Gaskell tackles the meaning of love in all its forms and the limitations society places on women as they pursue their desires. Although the novel was written 150 years ago, the issues the young women face remain relevant today as one grapples with shame for her nascent sexuality and another struggles to find a place in a scientific field dominated by men. Gaskell&apos;s novel works as a mirror to our contemporary society, showing us how far we&apos;ve come, and how far we still have yet to go.